In your day-to-day activities, you many need to carry out a lot of tasks. On the other hand, you need to increase efficiency and do your work better, faster and smarter. How do you find the balance? That’s where Flexie’s workflows come into play. In Flexie CRM, you can build multiple workflows and get things done faster, better and easier. 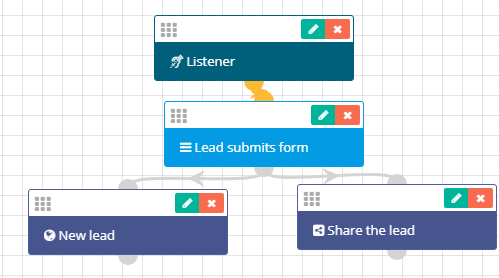 A workflow can help you automate your marketing campaigns, but not only: you can automate repetitive but important processes such as task management, leads management, etc. You can create as many as workflows as you need, so that you not only automate repetitive processes, but also make life easier for your sales team and managers. 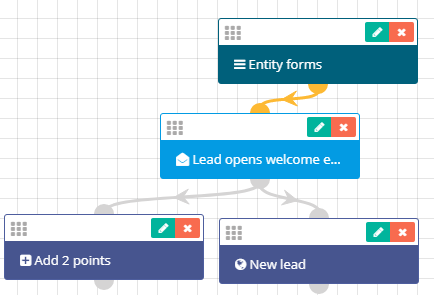 You can build and run workflows on each of the entities (leads, contacts, accounts, deals, etc). You may need to build multiple workflows, depending on your needs. Flexie’s easy-to-use and intuitive interfaces makes it much easier to build and run your workflows. By building workflows, you can free up time that can be used for other important tasks. Workflows help you do more with less because you no longer have to do repetitive tasks manually. For example, you can create a workflow through which you can send marketing emails automatically. You can automatically adjust lead points based on specific actions. You can send automatic sms/web and email notifications, share records with other users and a lot more. Creating accurate workflows is the best way to automate your marketing campaigns, boost sales and improve customer service among other things. After all, delivering an amazing and ongoing experience throughout the whole customer journey is key to success in the long-term.